Free Wi-Fi will be available at 150 Australian locations from today as Telstra begins trials of its public Wi-Fi network. Locations destined for foot traffic ahead of the Christmas holidays will be the first to benefit from free Wi-Fi access. These include Sydney’s Hyde Park, Melbourne’s Bourke Street Mall and Brisbane’s King George Square. Popular regional towns and cities will be a part of the roll out. The telco plans on switching on 100 regional hotspots ahead of Christmas in communities including Katherine in the north, Byron Bay in east, Launceston in the south and Margaret River in the west. Obsolete payphones are being repurposed for use as Wi-Fi hotspots by the carrier. Free Wi-Fi sessions will be set at 30 minute sessions. 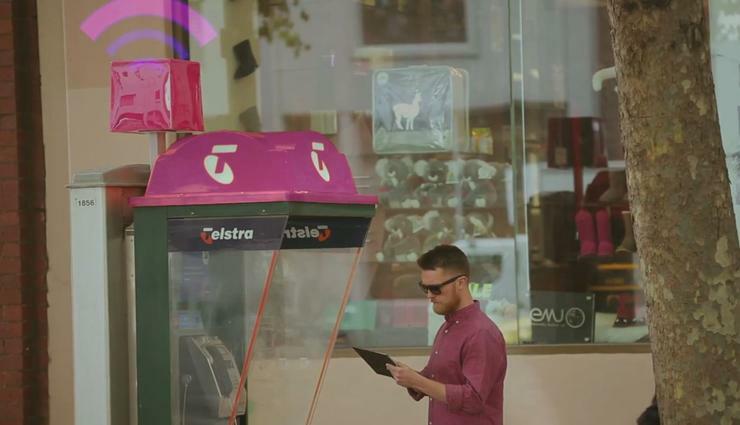 Telstra will offer free Wi-Fi at 1000 hotspots as it trials the technology ahead of its national roll-out. The telco is on schedule to launch its $100 million public Wi-Fi network ‘early next year’ and plans to have more than two million sites in operation within five years.